Ukraina Women is a Ukraine dating website. It is very easy to register to the website and get a new account. You won’t need to fill many dating forms and quiz. The website concept is almost same with Online Ukraine Dating. Actually the same company may own both website. You will find many Ukrainian girl profiles on the website. 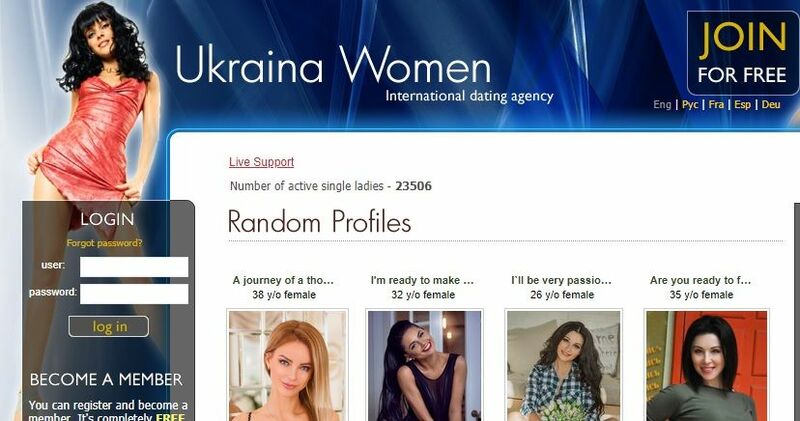 You can read our dating review on ukraina-women.com on this page and you can also add your own review for the website.You can read user reviews at the bottom of this page and create one about your experiences. Registration process is very short and easy on the website. Female profiles are generally from Ukraine. Credit system in dating system costs much for users. You can’t do anything with a free account. High fake and scam profile risk. All girl profiles are looking like models. Account approval takes too much time. The website doesn’t get any serious amount of visitors from Ukraine. Ukraina Women is free to register and you can easily create your account on the website. You can test it and decide purchasing a membership or not. Before you purchase a dating premium membership from a website, we recommend you to read this guideline: How to Spot Scam Dating Sites. This guideline will help you to figure out if a dating website is trying to scam or not. We recommend our users to check this guideline for every dating websites. If you have any good memories with Ukraina Women or if you had some bad experiences, you can write a review to comment section below.